MW Mobile Blog: 19th hole. 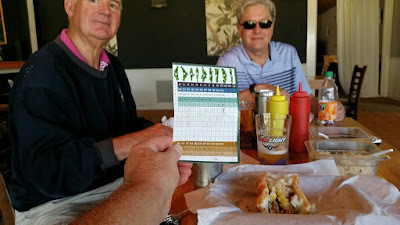 I had four pars, and if I could putt, should have had at least 2 birdies. *Score withheld at golfers request. 96!! Damn good. Congrats. Who got the beer on 13?